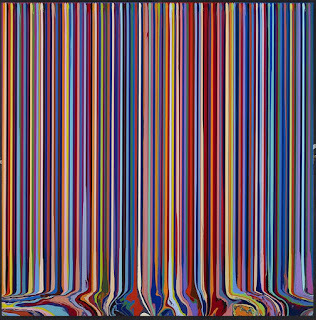 British artist Ian Davenport is still developing his drip techniques, allowing the works to bleed an flow together, these are the most interesting paintings I think he has done. has This inaugural solo exhibition in South-East Asia at Art Plural Gallery, which has just finished, featured his distinctive poured paintings. Reminiscent of Abstract Expressionism an, the former Turner Prize nominee is recognised for his intense and unconventional painting practice, working with a crescendo of colours orchestrated in rows of lines. 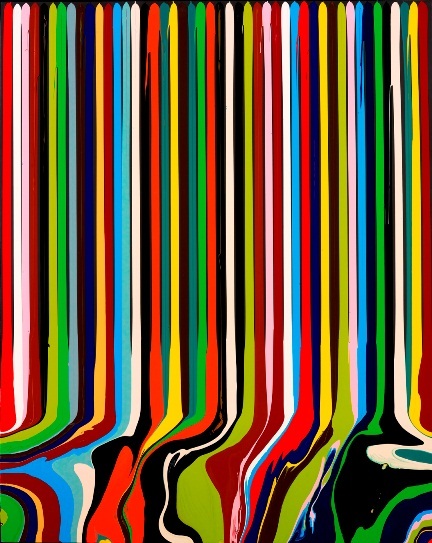 His distinctive creative process involves the pouring of paint with an industrial syringe over the body of a working surface, allowing the line of colour to ebb and flow into saturated puddles. 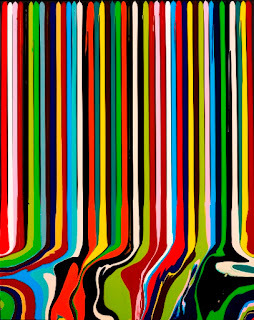 As one of the most prominent contemporary of post-painterly abstraction, Ian Davenport has injected new life to the practice of painting. The artist consistently creates complex colour arrangements in vertical lines of varying widths. Borne out of rigorous experimentation, the artist attempts to creates works that explore physical and psychological relationships between the viewer and his visual culture with sensory immediacy. 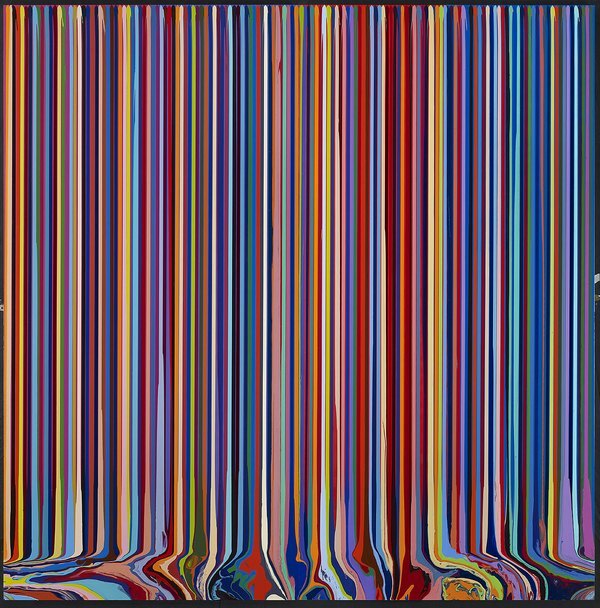 In conjunction with the exhibition will be the publication of 'Ian Davenport: Between the Lines', a fully illustrated, comprehensive and definitive catalogue of the artist’s poured paintings.